My mom is the kind of person who's cravings for foods disappear the longer she doesn't have them. In some ways I am just like her, but that gene must have somehow skipped me. The longer I avoid a food the more I get this insatiable NEED to have it. 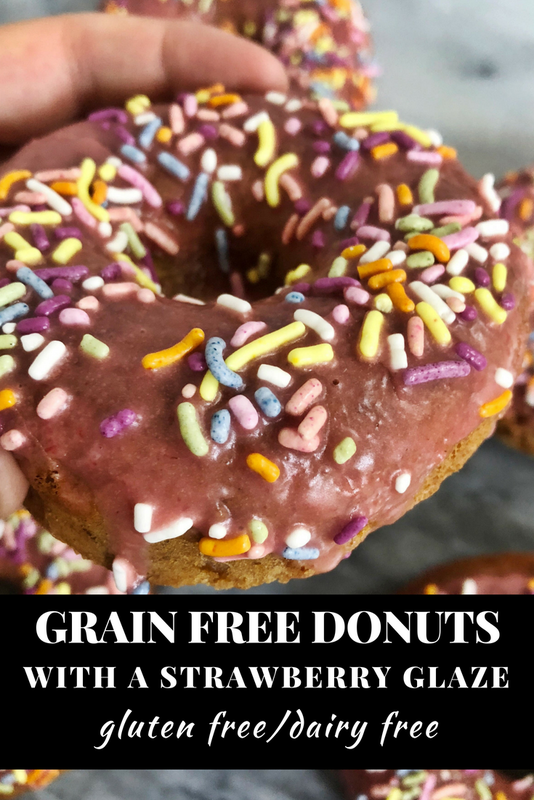 One food I will get an occasional craving for is a donut and I'm not against indulging in the real thing every once in a while, but I was also on the hunt for a grain free alternative that I could indulge in without feeling yucky after. One thing you don't always see on shiny instagram feeds is the genuine recipe testing that goes into many of the blog posts. Sometimes I get really incredibly lucky and something is PERFECT on the first try, but majority of the times things take a few iterations to make them right. I made these donuts 3 times before I came up withe these fluffy little cakes. I tried to eat most of my failed attempts because almond flour is NOT cheap, but some were truly inedible. The key to make these donuts fluffy and delicious is the beating of the egg whites to add volume. It is very important to beat the whites into soft peaks immediately before combining them with the other ingredients so that they don't have too much time to settle. Another key is letting the donuts cool fully before removing them from the molds and adding the glaze. Fluffy grain free donuts with a fresh strawberry glaze. Cook in oven for 15 minutes and remove to cool. Do not remove from molds until fully cooled. While donuts cool make strawberry glaze. Blend strawberries in a high speed blender. Dip cooled donuts into glaze and immediately sprinkle with rainbow sprinkles.